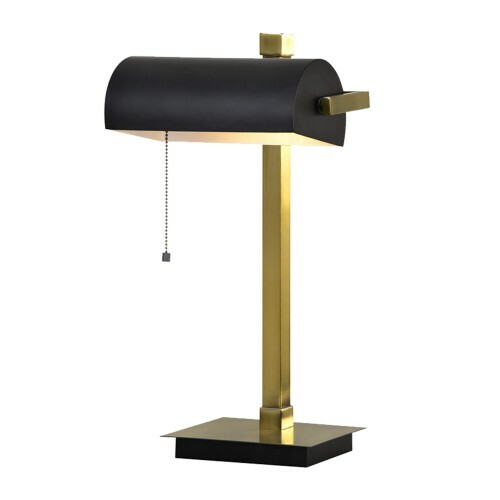 A classic table lamp with a modern twist of black with gold. A pull chain switch adds to this classic beauty. A beautiful addition to any desk or side table.